So here in the UK, today is National Stationery Day and to celebrate I’m hankering after stationery hampers. Did you absorb that? Stationery hampers! I didn’t know such things existed until my lovely uncle emailed me with the news. I love giving a hamper as a gift but mostly hampers are food related (and I’m all for that) but not all people are foodies. Other hampers are bath and beauty related but as someone whose skin breaks out at the mere suggestion of a smelly bath product, I assume it’s a bit of a risk for everyone. So I think stationery is a fantastic idea. Bureau Direct start their hampers small with the Bureau Mini Stationery Hamper which, if we’re honest, is less of a hamper and more of a set. 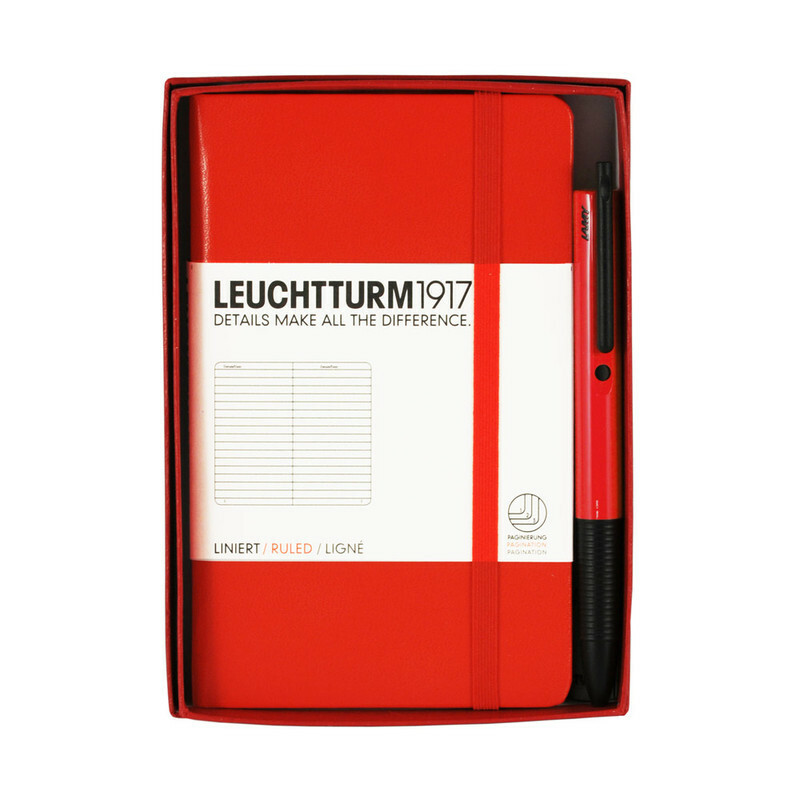 It contains a colour coordinated notebook and pen and prices range from £11.45 – £16.50 depending which colour and brand (Rodea, Leuchtturm or Moleskin) you choose. 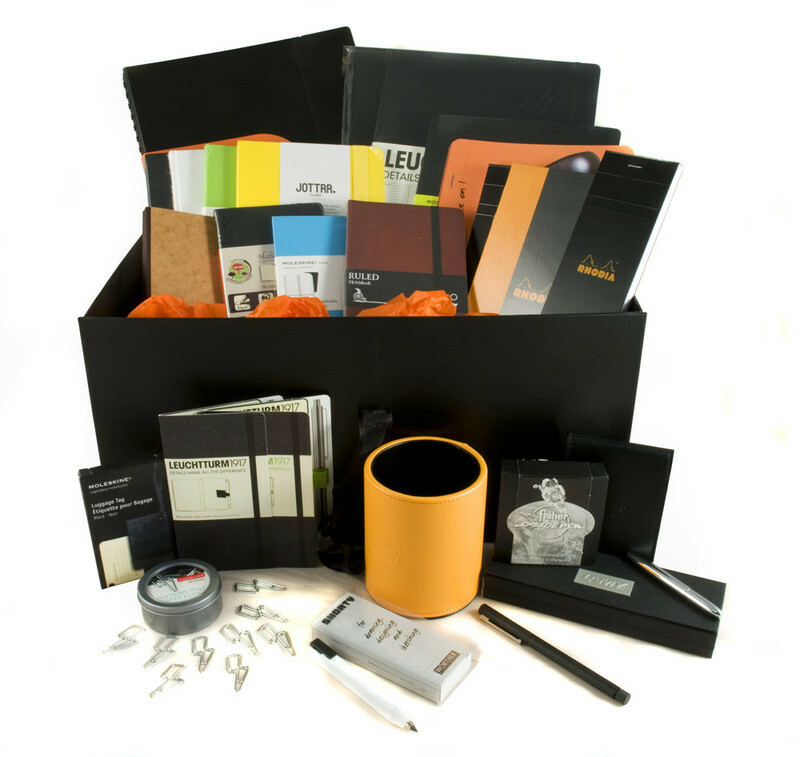 There are three other hampers to choose from in smart black and orange packaging. 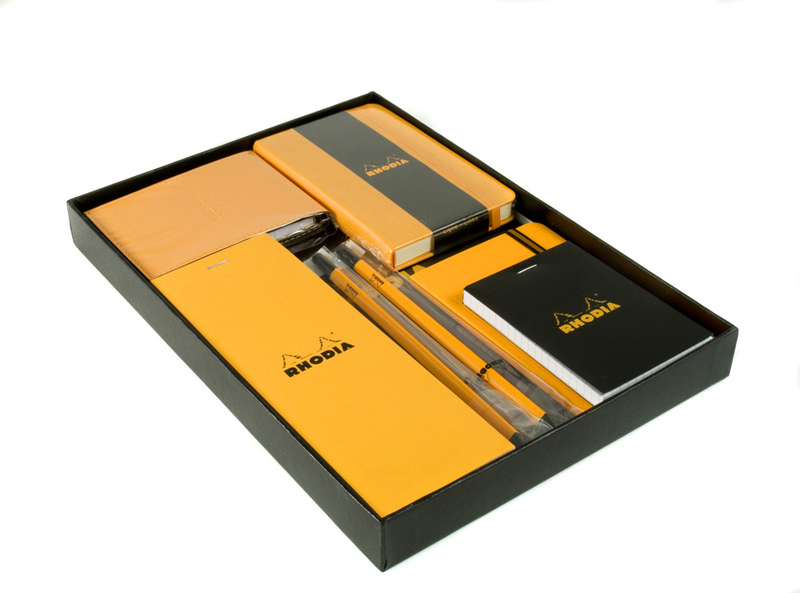 The Rhodia Hamper is £26.95 and can definitely be described as a hamper as it has six notebooks of varying sizes and two pencils. The Super Hamper is £39.95 and is super indeed with five different sized notebooks, a pen loop, pen and a pencil. The Ultimate Hamper comes with a massive 17 different pads, notebooks and journals, pen pot, luggage tag, black and coloured pen loops, two pens (including a Fisher Spacepen that writes upside down, underwater, from -30ºF to 250ºF, and in space), a pencil and some rather fancy paperclips. 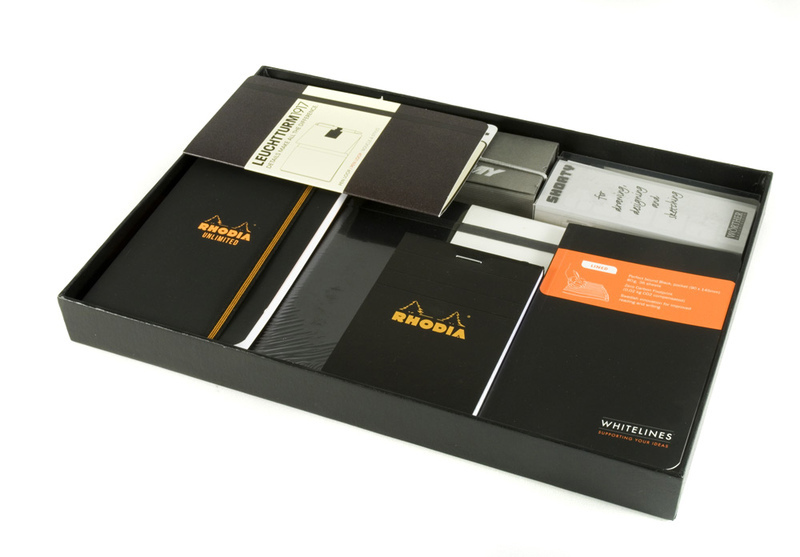 At £235 it is the ultimate present for the stationery lover in your life. Bureau Direct are so excited about National Stationery Day they are giving everyone who orders stationery from them today a free gift and a chance to win a Lamy Joy calligraphy pen. Tell me in the comments section which kind of hamper you’d prefer – pamper, food, wine or stationery? That is such a fantastic idea! I would love to recieve one of those…must start dropping hints.